A casual observer might assume Montenegro’s imminent accession to Nato means that it is an island of stability in the western Balkans. The young nation is certainly closer to integration with Nato and the EU than its regional peers. But joining Nato is considered an extreme provocation by Russian officials, ethnic Serbs and Montenegrins who remember the alliance’s bombing campaign in 1999. While accession would realise a long-held aim of the ruling Democratic Party of Socialists (DPS), the extended process has aggravated the delicate geopolitics of the region. Nato’s generals could be left wondering if this diplomatic victory was worth it, especially as Montenegro’s army boasts fewer armed officers than London’s Metropolitan Police. In recent weeks, European politicians and observers have warned that the risk of conflict breaking out again is rising in the western Balkans, as political instability has been elevated by territorial disputes, nationalist fervour and contentious elections. One EU official compared the regional situation to a “pan full of oil”. Montenegro is not the immediate focus of these concerns, but is hardly immune; Albanians in the country have demanded their own self-governing entity, while two opposition leaders were stripped of their parliamentary immunity in February, prompting protests in Podgorica. 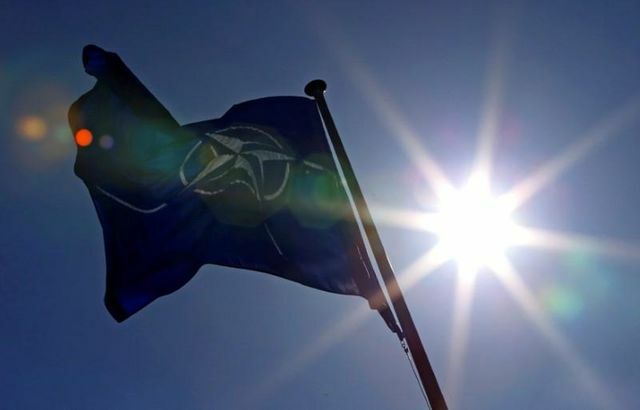 The authorities allege that they were involved in a failed coup before elections in October last year, aimed at preventing Montenegro’s accession to Nato. Prosecutors allege the involvement of the Russian state, while opposition parties claim that the drama was orchestrated to secure the ruling party’s victory and are boycotting parliament. Opposition supporters now worry that accession will be used as a pretext for authoritarian moves to stifle dissent. Accession to Nato won’t settle the emotive issue of Montenegro’s alignment, or lower tensions in the wider region. Russia has threatened to limit investment to the country, which has historically been a favoured destination for Russian businesses. The alliance will reduce the chance of the country itself being embroiled in an interstate war, but a more divisive political domestic environment could heighten enduring security risks. Montenegro has suffered a wave of IED attacks in the last year. Most are thought to be related to warring drug gangs, but some targeted companies with links to the DPS and security officials. Occasional violent anti-government protests, a fixture of the election year, are likely to continue. Kosovo, Serbia and Bosnia may be responsible for more sleepless nights in Brussels right now, but Montenegro could yet throw a match into that pan of oil. U.S. President Donald Trump on Tuesday signed the U.S. instrument of ratification for Montenegro's accession to NATO, the White House said in a statement. Last month the Senate overwhelmingly backed the expansion of NATO to allow Montenegro to join the alliance, hoping to send a message that the United States will push back against Russian efforts to increase its influence in Europe.